"A perfect accommodation option for business travelers and holidaymakers alike, Diggi Palace is one of the finest heritage hotels in Jaipur. 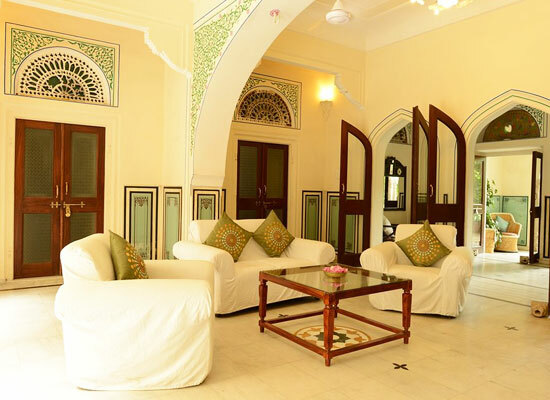 Nestled amidst 10 acres of a cluster of Havelis, edifices, and gardens in the heart of Jaipur city, the hotel is located 12 km from the nearest airport, and just 1.5 km from the closest railway station as well as from the bus stand. 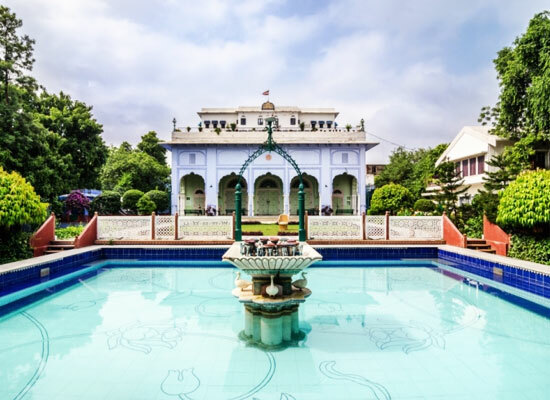 Shri Thakur Saheb Pratap Singh Ji Diggi of the ruling family of the house of Diggi built the Diggi Palace, Jaipur and its surrounding garden as well as the fountain in 1860s. Later converted into the permanent residence for the family, the palace was transformed into a heritage hotel in the year 1990. 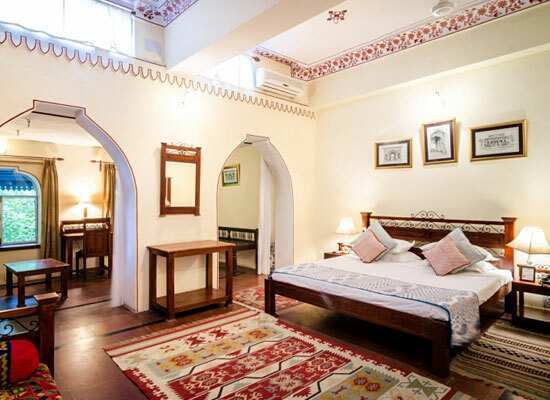 Diggi Palace, Jaipur has 70 spacious and well-equipped rooms, which boast of a wonderful décor, inspired from the royal times. All the guest rooms are air-conditioned and brilliantly designed with intricate Rajputana architecture, and have attached bathrooms. 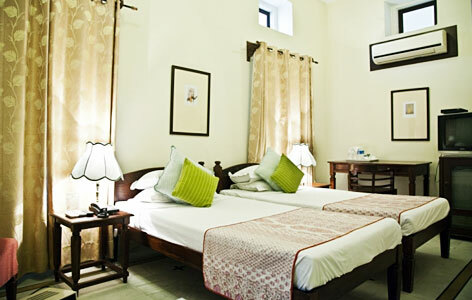 The rooms have been categorized into three- Heritage Rooms (31), Palace Suites (29), and Courtyard Suites (10). The color palette of the rooms have been kept warm, and modern comforts like telephones, side lamps, fans, choice of king-size or twin beds, sofa and center table, coffee table, LCD TV with cable/satellite connection have been added to them. 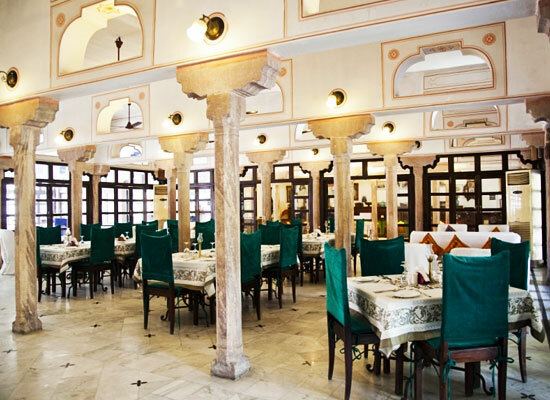 The gracefully decorated restaurant at Diggi Palace in Jaipur caters a variety of Continental and traditional Rajasthani delicacies to pamper your taste buds. This restaurant, located in a Baradari, offers a stunning rooftop view of the picturesque background. A beautiful city in the North Indian state of Rajasthan, Jaipur has a popular shopping center where you can have an amazing shopping experience. Popularly known as the Pink City of India, Jaipur is dotted with golden sands, magnificent forts, and charming palaces, mansions and gardens.